I have used my Stitch Fix referral link within this Stitch Fix outfits post. 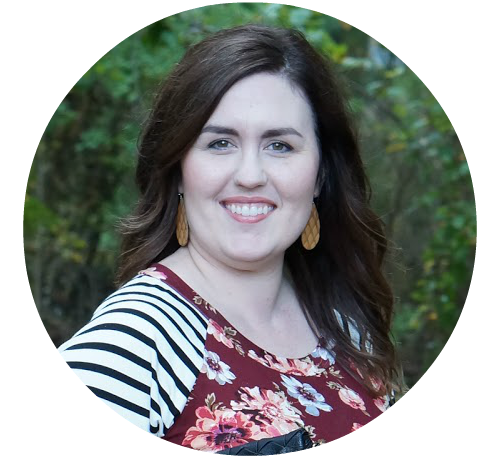 If you click through and schedule a fix, I will receive a $25 Stitch Fix credit. Please don’t feel obligated to click, but thank you if you do! Additionally, if you create a Stitch Fix account you will have your own referral link with which to earn credits! I’ve been getting Stitch Fix for years now. In fact, I recently join their program that allows you to pay $49 for unlimited fixes throughout the year. I thought it was such a great deal, since I get them monthly anyways. In fact, I have one coming my way in the next week or so and I can’t wait to share it with you! 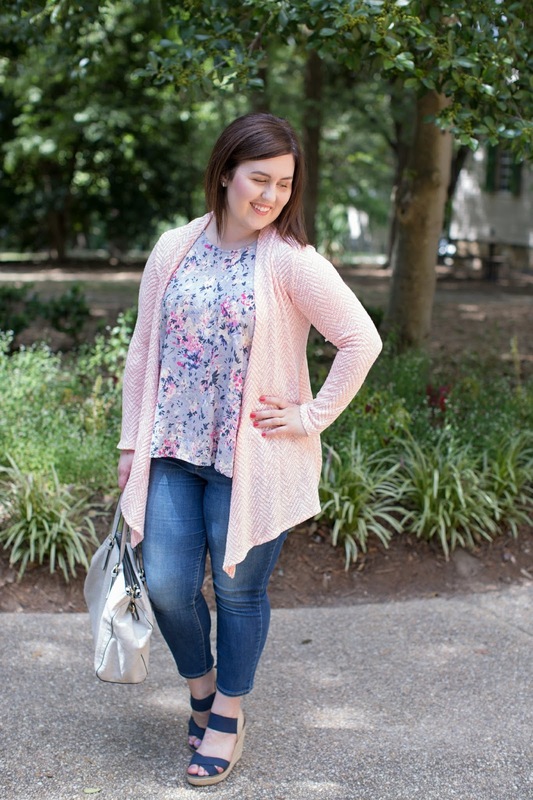 This post is all about my five favorite items I’ve received from Stitch Fix. 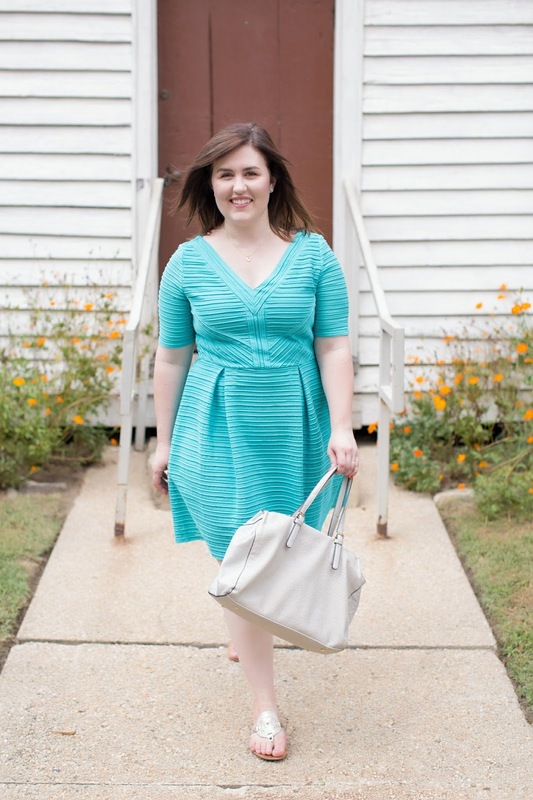 This dress was in the running to be my Easter dress this year, but I ended up going with an oldie-but-goodie (seen here … minus the belt and with different shoes). You can see my initial thoughts in my original fix unboxing here. 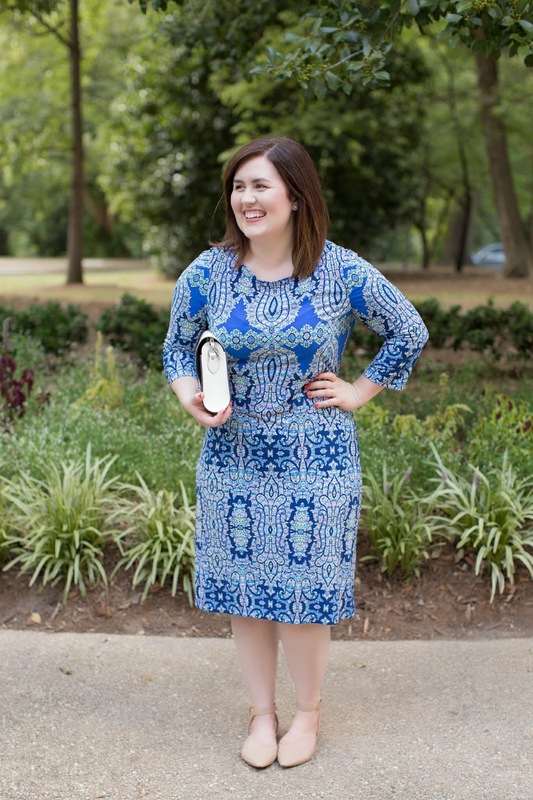 I love this dress so much, it is my #1 piece from Stitch Fix. It’s also the most expensive item I’ve purchased, and it was 100% worth it. I feel so pretty in this, and I look forward to wearing it every spring and summer. Funny thing, I can’t find where I unboxed the fix that this cardigan came in. I have a feeling this was either the last fix I got in our old house or the first box I got in our rental, because I have zero pictures of this aside from a random outfit pic. I wear this cardigan so often. The stitches are loose, so it’s perfect when it’s a little warmer outside (and I still need something on my arms in the office). But, I can easily wear it with long sleeves if I need to be warmer. It’s so cute! This is a go-to dress for me, when I want to be a little dressed up but still comfortable. I love the colors and print. It just looks so put together even thought it’s a simple dress. I love it! 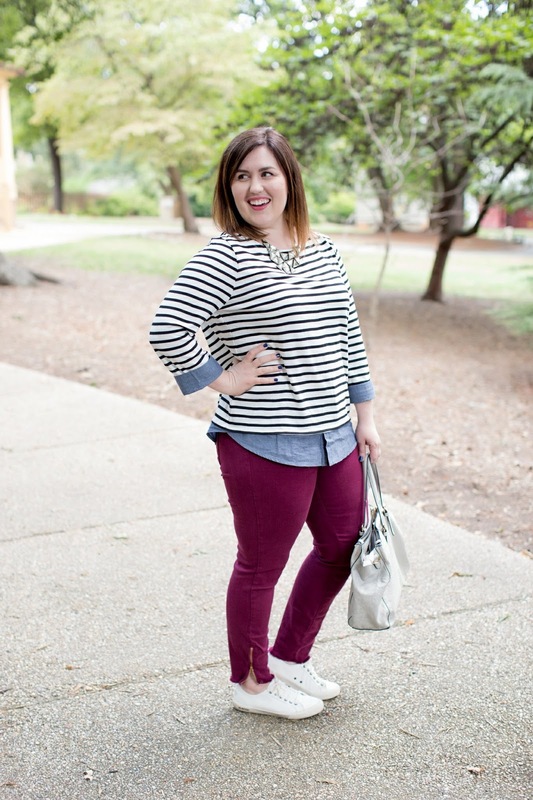 These jeans are yet another item that I never unboxed on the blog and yet I’ve worn them in countless outfits. These jeans are insanely soft and comfortable. To be honest, I wish they didn’t have a zipper ankle but that hasn’t stopped me from loving them. I love the color and material. They have been my most-worn jeans that I’ve purchased from Stitch Fix, although my most recent jeans are giving them a run for their money (tgla, seen here in an unboxing). This was such a fun post to put together. I am thinking about doing it yearly, to see how my favorite items change throughout the years. What do you think? Sign up for Stitch Fix here.